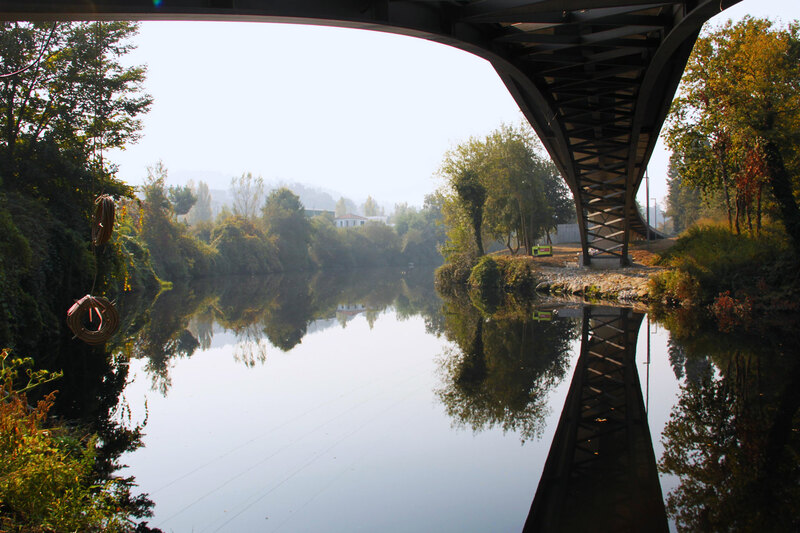 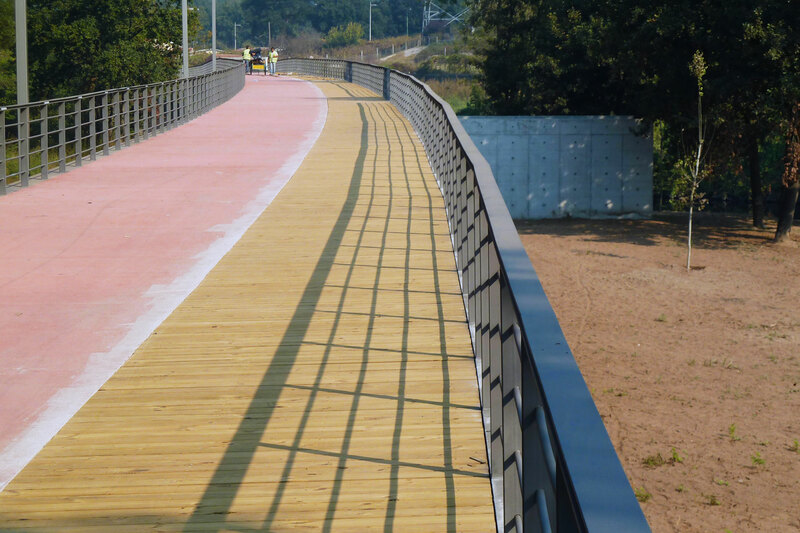 Inaugurated by the President of the Republic and the Mayor of Santo Tirso, the Pedestrian area of the Margins of Ave river is the result of an investment of 4.5 million euros, executed within the scope of the ON2 program, “PRU – Urban Regeneration “. 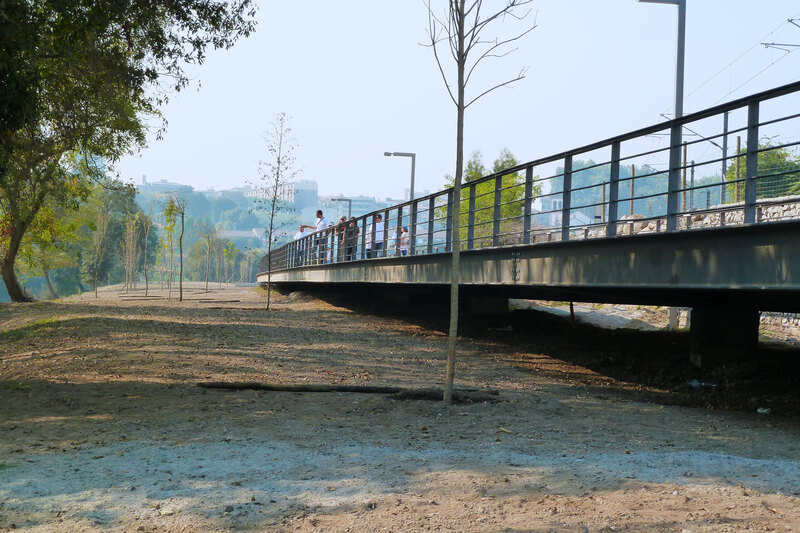 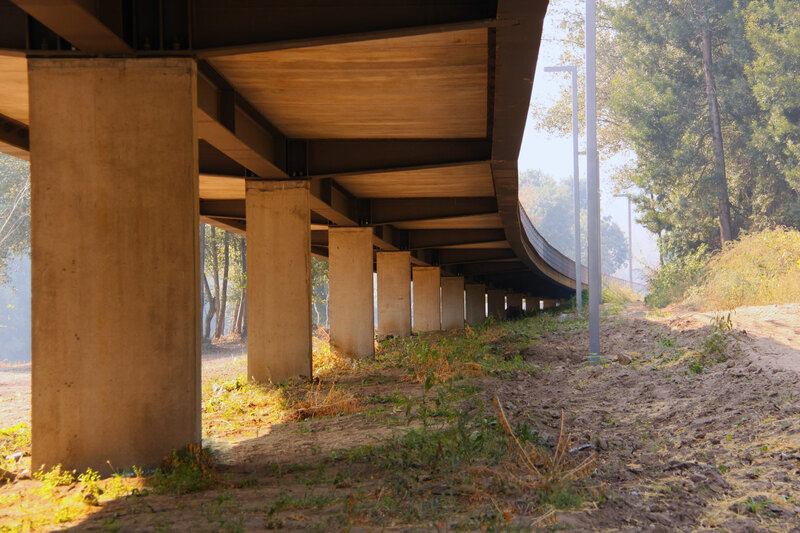 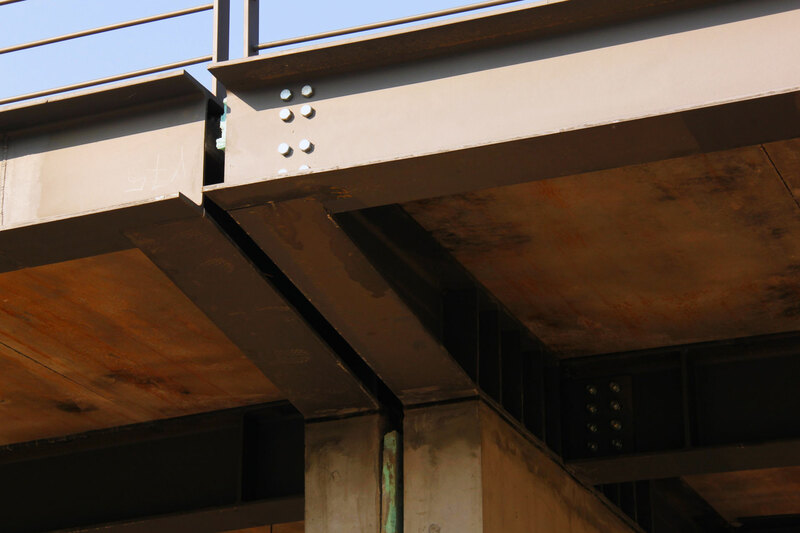 The work included several interventions, parking area, WC, planting trees, the creation of a raised Pedestrian Platform with deck between the parking and the curve of the Ave River upstream of the dam and a Pedestrian Bridge linking the Platform to the Urban Park of Rabada. 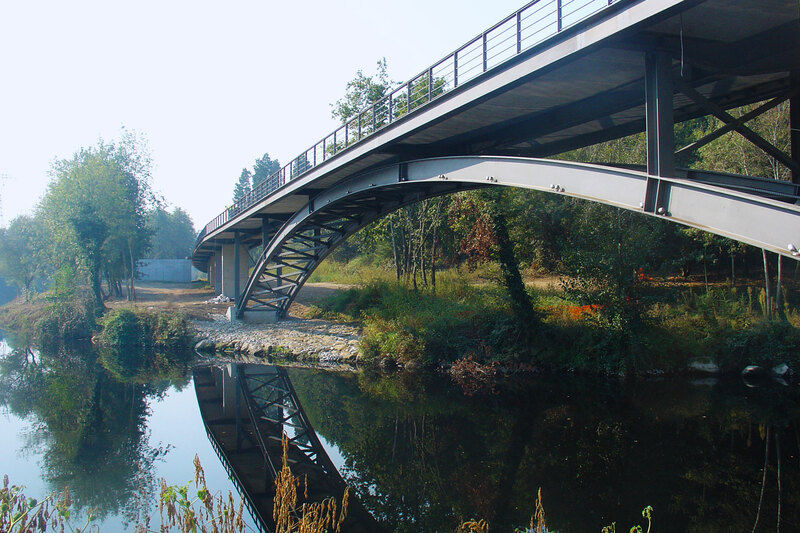 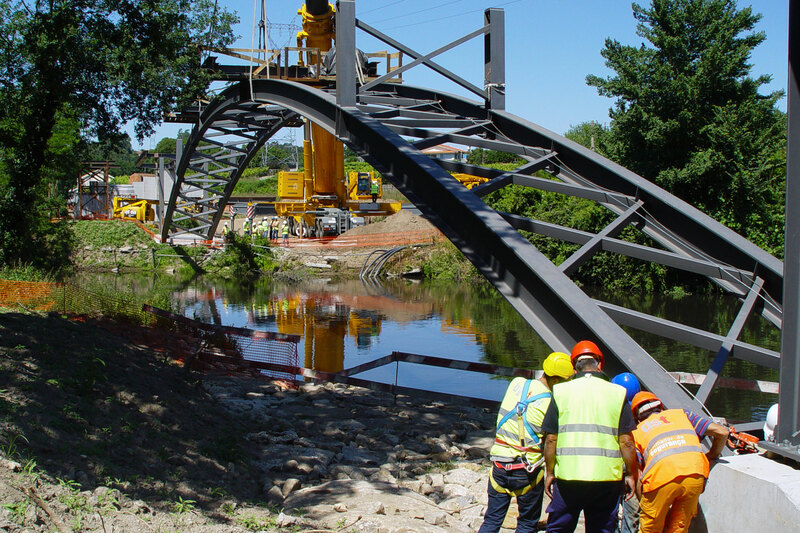 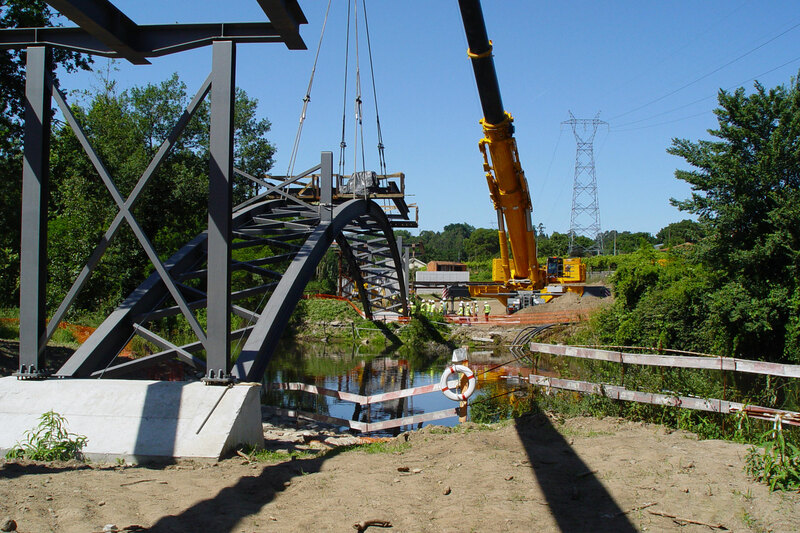 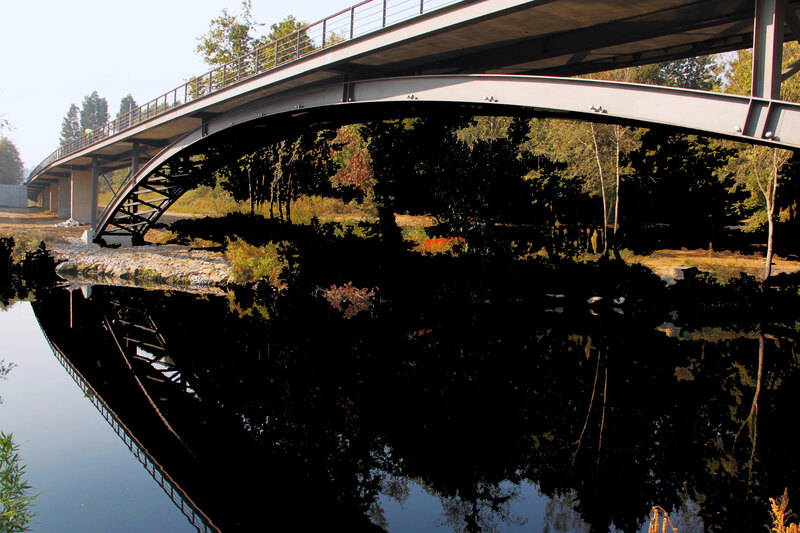 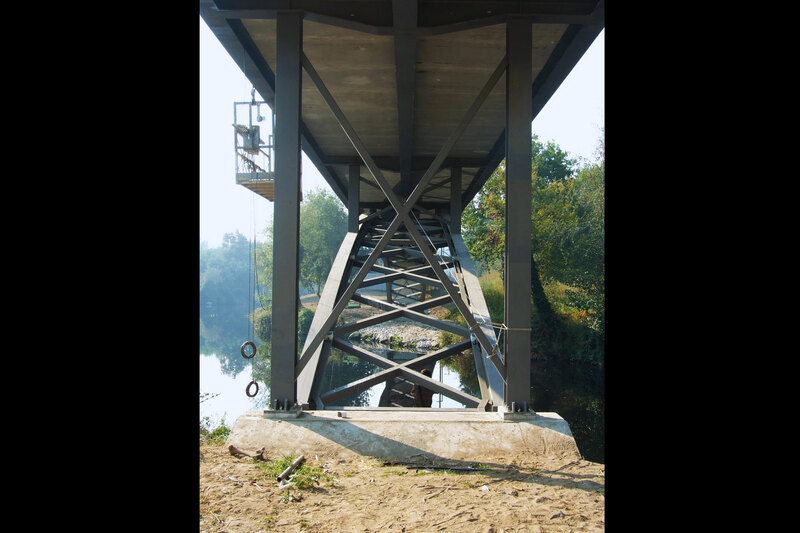 The pedestrian bridge in a metal arch, with 60 m of central rope and 6 m of arrow, in a total length of 84 m and adequately protected by TMD in terms of anthropodynamic comfort. 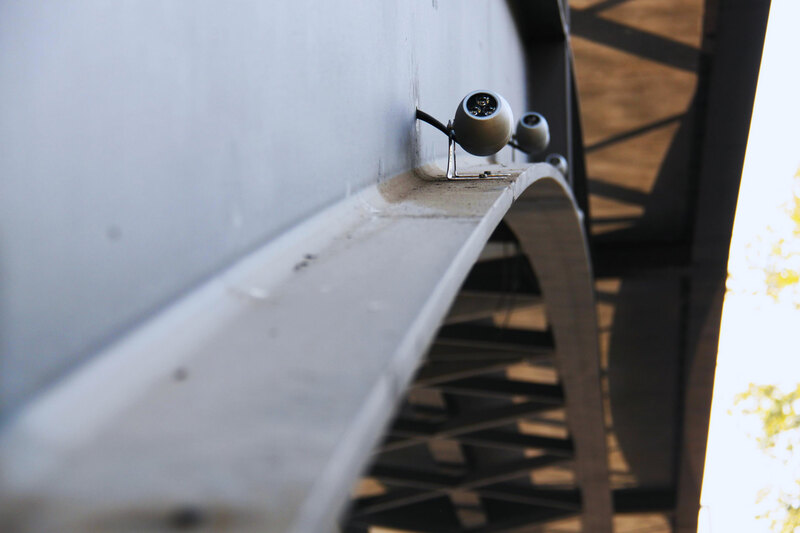 SOPSEC played a decisive role in establishing the solution and in the technical solutions adopted.